We have the power to remove vehicles when the keeper has no intention of returning. This includes trailers and caravans. 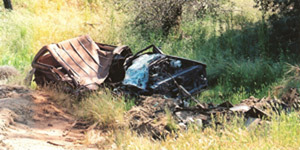 What if an abandoned car, van or other vehicle has been burnt out? It should be reported to Tamworth Police: Tel: 101, as it may be have been stolen. The police may report it to us for removal.